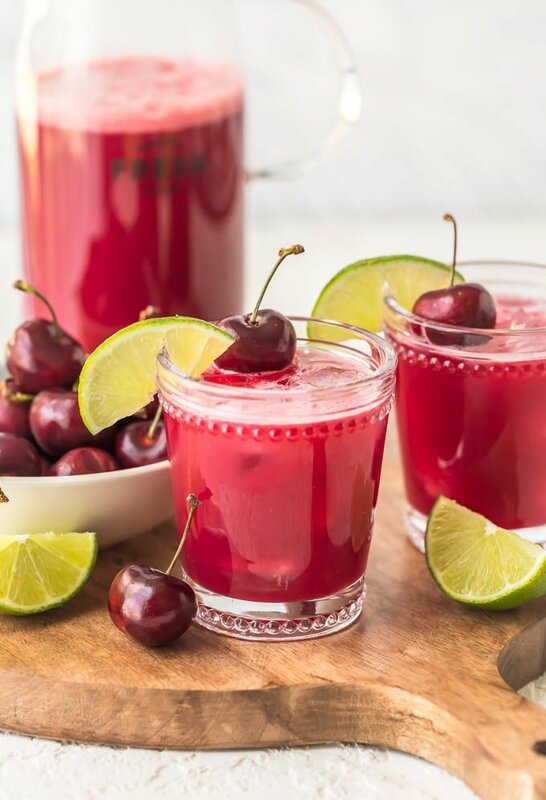 Homemade Cherry Limeade was written in partnership with Feast Magazine. 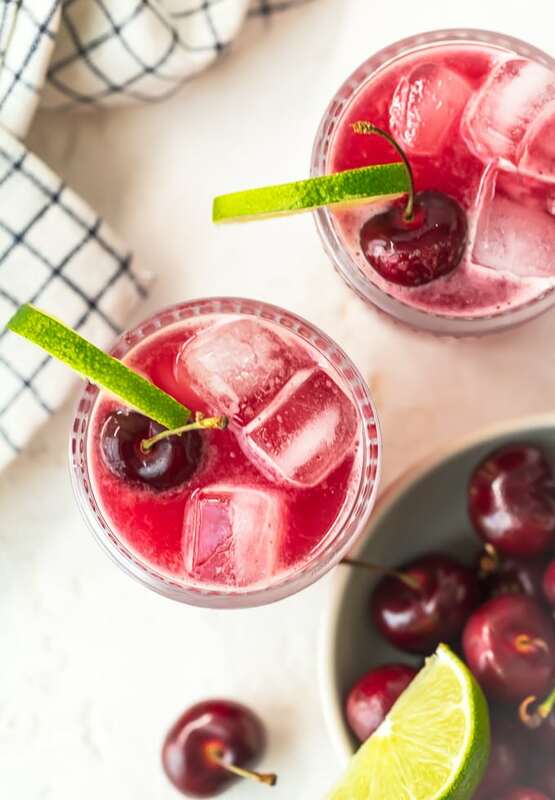 Cherry Limeade is one of the most iconic summer drinks. It’s so refreshing on a hot summer day, and it’s full of tart cherry flavor! 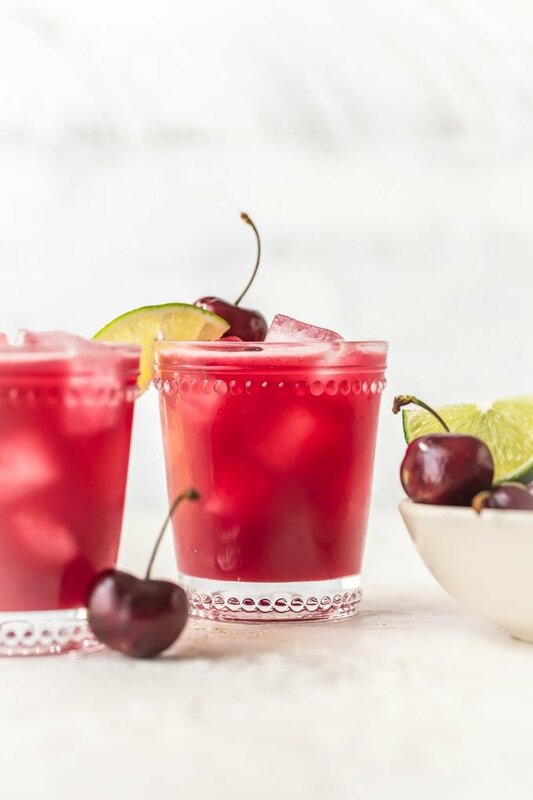 This homemade Cherry Limeade recipe is better than the one you’re used to because it’s made with fresh cherries and just the right amount of sugar. Serve it over ice and add a bit of vodka if you want an adult version! Cherry Limeade is the iconic summer drink we all love. Make this homemade limeade recipe (with or without alcohol) for a refreshing drink! Cherry Limeade is one of my favorite summer drinks. Tell me you didn’t used to run to Sonic and gulp those down on a regular basis too (just me?). It’s just the most refreshing drink on a hot day and I’ve come to love that classic cherry lime flavor. 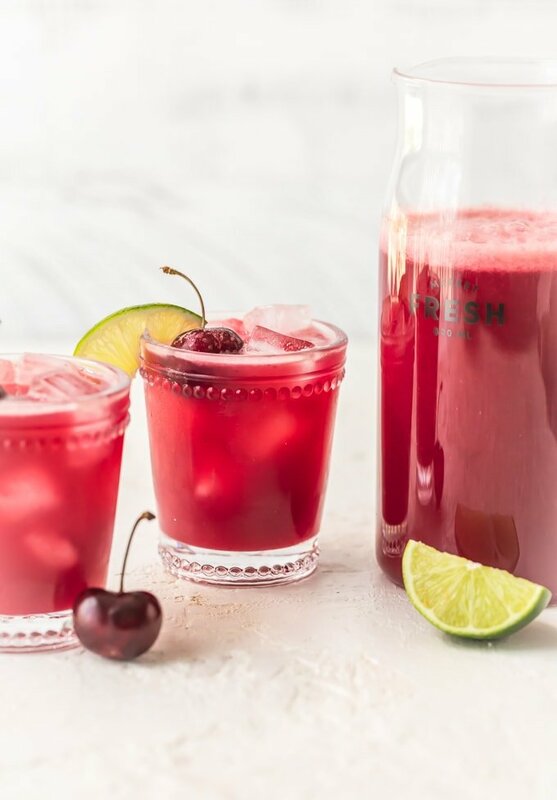 I created this homemade Cherry Limeade recipe because I wanted a slightly healthier, fresher, and much tastier version to serve for friends and family. With fresh fruit in place of flavored syrup and little less sugar, I feel a lot better about drinking this regularly. I’m OBSESSED actually, and I think you will be too once you try it. While the recipe for this drink is non-alcoholic and kid-friendly, in typical fashion, I created an adult version too: Cherry Limeade Vodka! Just splash some vodka into the mix and you’ve got the perfect alcoholic summer drink for outdoor parties and BBQs. 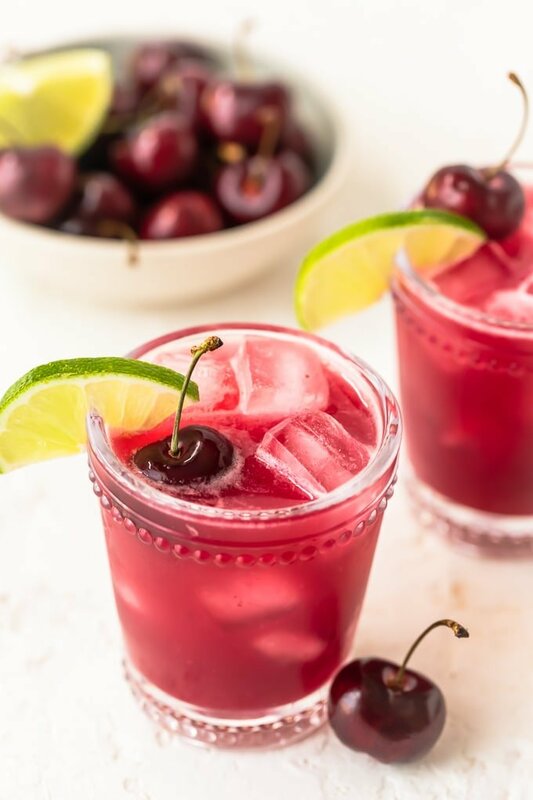 With or without alcohol, this Cherry Limeade recipe is super refreshing and delicious! Everyone loves Sonic’s classic limeades, and now you can make this classic summer drink at home! And it’s even better because we’re using fresh ingredients to fill the drink with real flavor. I love making these when I’m craving something sweet, but the cherries & lime add the perfect level of tartness. If you’re making an alcoholic version, stir in the vodka too! I love this refreshing summer drink recipe! It’s the perfect amount of sweetness and cherry flavor without being overwhelming. 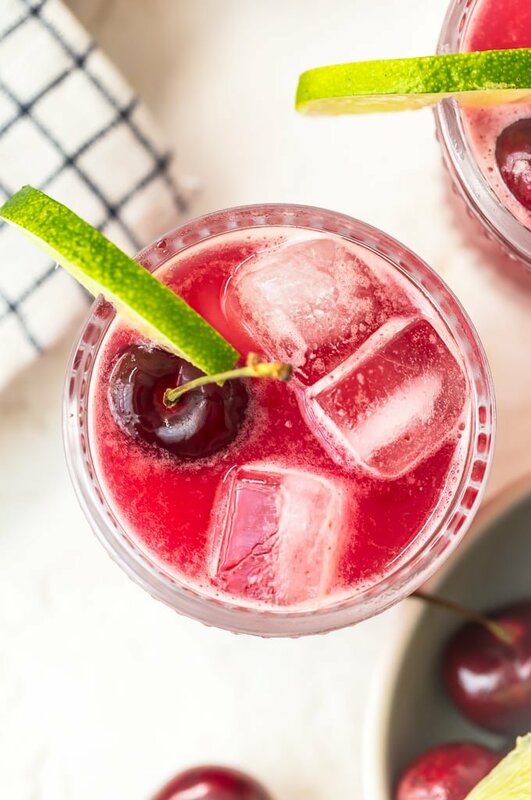 This cherry limeade is so refreshing on a hot day, and I love it just as it is. But, as usual, I created an alcoholic version of this drink too! 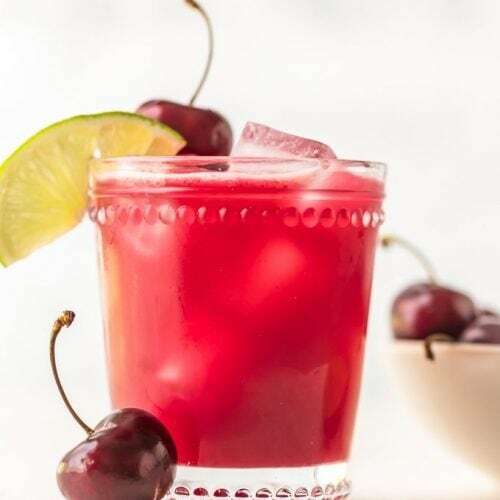 Us adults need a little extra kick sometimes, so I added a bit of vodka to this recipe to make a Cherry Limeade Vodka. The perfect summer drink! 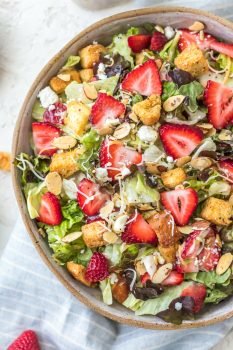 Serve this at summer parties, BBQs, or for a fun girls night at home. You can add vodka directly into the pitcher and mix it together, or you can add a splash of alcohol to individual glasses of it in case some people want the non-alcoholic version too. What’s in a Cherry Limeade? This cherry limeade recipe is a much lighter, tastier version compared to the original Sonic version. There’s less sugar and no flavored syrups. 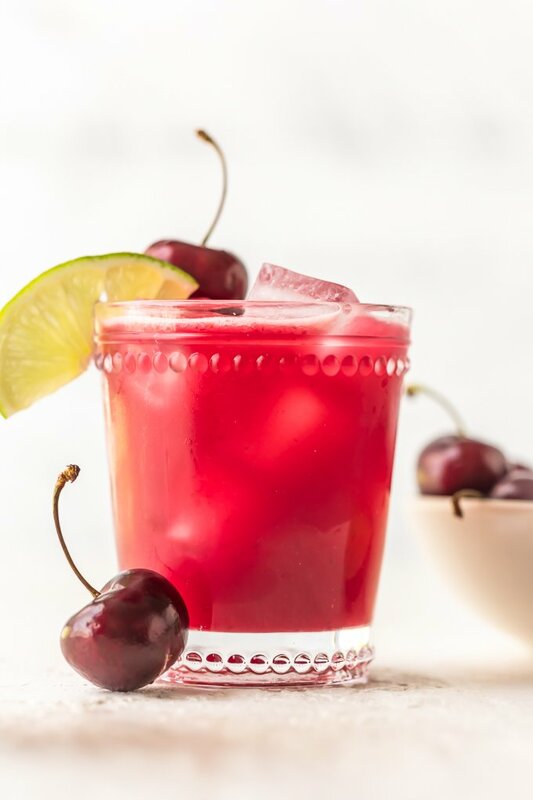 Just real cherries and limes to make this refreshing drink, plus a little bit of lemon-lime soda for a bit of carbonation. No sticky syrup here! Just fresh ingredients to make a fresh homemade Cherry Limeade. I’m so happy to have Cherry Limeade back in my life this summer, but definitely an upgraded version! A little less sugar, and a lot more (real) flavor. You guys are going to be just as obsessed with this delicious summer drink recipe as I am. Serve it up cold and fresh! See the recipe card below for details on how to make Cherry Limeade. Enjoy! 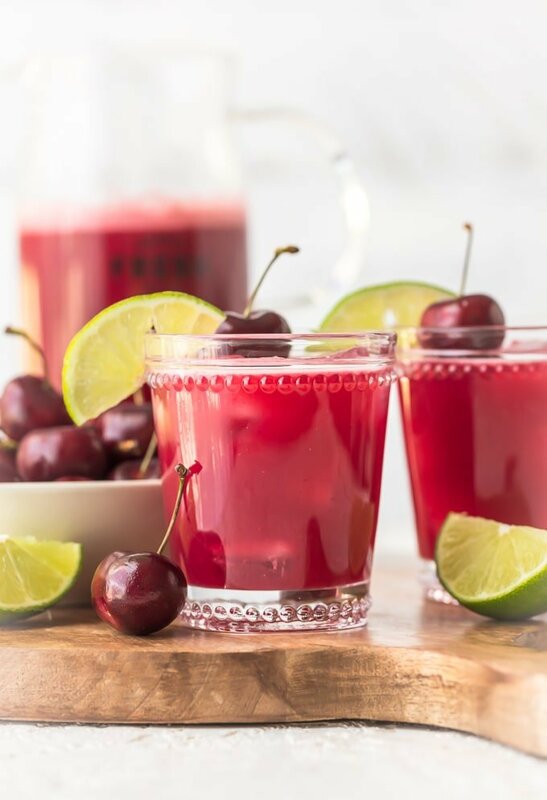 This homemade cherry limeade recipe is filled with fresh cherries & limes. One of the most refreshing summer drinks, with or without alcohol! 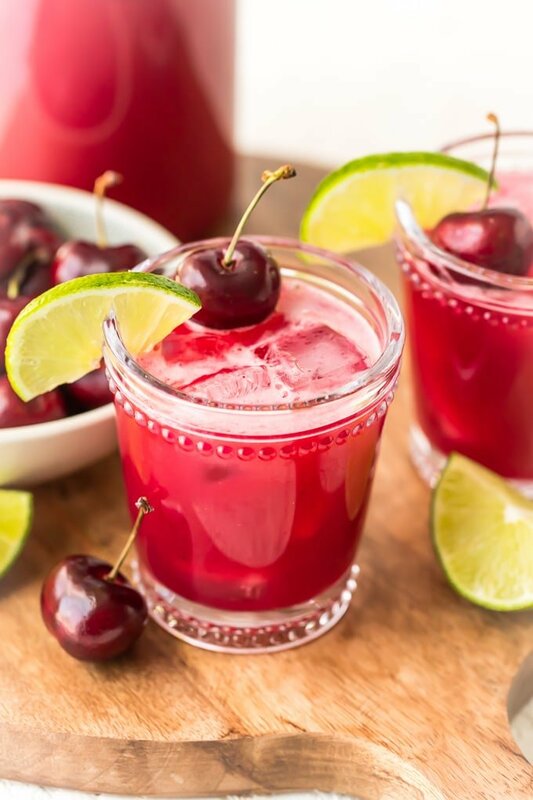 Place cherries, limes, and sugar in a high powered blender with 2 cups water. Blend until fully combined and smooth. Strain the liquid fully and then pour into a large pitcher and stir in the remaining 4 cups water and 1 cup lemon lime soda. Stir in the vodka if adding. Serve over ice garnished with cherries and limes. Enjoy! SOOOOOOOOOOOO many ads to get through – I wasn’t even sure there was a recipe and almost gave up. . . ugh, won’t be back. I’m emailing you but in case you do come back and see this, there’s a “jump to recipe” button at the top of each post that will skip all the ads and take you to the recipe. Unfortunately ads are a necessary evil because of web costs. Totally understand if its not the right site for you though. Have a great holiday!